The Queen Mary arrived in Long Beach on December 9, 1967. It is now a floating hotel, event and wedding location, and the home to 3 world class restaurants. The Queen Mary had her first trip on May 27, 1936. With swimming pools, 5 dining areas, cocktail bars, a grand ballroom, and even a small hospital, this luxury ship carried the rich and famous from Hollywood celebrities like Bob Hope and Clark Gable to dignitaries like Winston Churchill. By 1965, air travel had become a more popular way to travel and The Queen Mary had lost a lot of business. The owners then decided to retire the ship. Its last cruise ended in Long Beach, where it now stays. 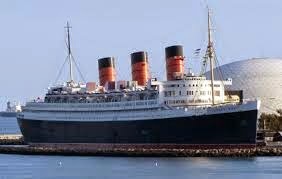 Because of its long history, many people claim that The Queen Mary is haunted, meaning that many ghosts live there. Guests of the hotel are sometimes scared by strange sights and sounds. 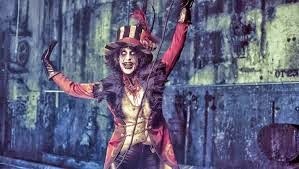 During Halloween, The Queen Mary hosts the "Dark Harbor" event. It's a fun and scary way to experience this great place.